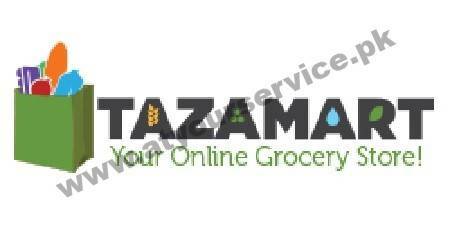 'TazaMart is a well recognized online grocery store in Karachi, Pakistan. It is an ideal online shopping place that brings you comfort and ease to shop your monthly grocery and get it delivered free to your doorstep. You will get every product fresh, clean and according to health standards under the single roof. Our products range from frozen foods to greengrocery and household to skin-care products and a lot more. Everything is available at a very competitive price with maximum discounts. Currently, TazaMart is operating in Karachi only and looking forward to expanding the business by covering entire Pakistan.